Verge is a collection of handmade super heavyweight carved shaggy rugs. The rugs feature high-low super soft polyester pile, which creates a striking three dimensional effect with deep grooves and channels running throughout the length of each rug. 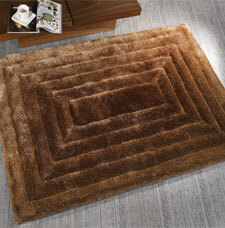 Furthermore the rugs feature very deep lush pile that will surely make a great addition to any room setting.